What factors affect providers' medical decision making? What are providers' strategic priorities for 2019? What is driving growth in the medical supply market? HIDA surverys executives in major healthcare markets on an annual basis to understand these questions and more. The data is shared with HIDA members in a new format comparing the data across the care continuum. 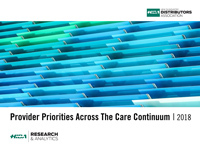 Provider survey insights are assembled in to eight streamlined charts that reveal trends and priorities. 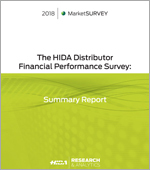 HIDA’s benchmark study of distributor members’ financial and operating performance presents an analysis of aggregate member data. This study tracks revenue growth, inventory, operating characteristics, and sales force management by market. Participating members recieve a complimentary copy, please contact Justin Waters. **PDF Download** Technology Drives ASC Expansion | Advances in operating room technology and equipment are enabling ambulatory surgery centers to increase the types of surgeries they offer. 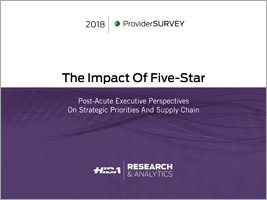 ASC decision makers look for medical products that deliver results, with improving outcomes cited as the most important factor in their organization's supply chain strategy. This report describes how ASCs make medical product decisions, and what new services they plan to offer in the future. **PDF Download** Managing Growth | Health systems are expanding their community footprints. As they grow, they are evaluating how to approach non-acute supply chain, and dealing with issues such as delivery to offsite locations, value analysis, standardization, and technology integration. This report describes the level of integration that exists between non-acute and acute settings, and what factors drive health system supply chain decision making. **PDF Download** The Impact Of Five-Star The CMS Five-Star Rating system is having a big impact on skilled nursing facility (SNF) operational priorities. Reputation is key to cultivating strong relationships with local hospitals, and keeping occupancy up. Learn directly from SNF owners and executives what actions they are taking to reduce hospital readmissions and what medical supplies can help them achieve this goal. A majority of facilities anticipate they will spend more on medical supplies and capital equipment in 2018. In addition, many SNFs have plans to expand into other post-acute settings such as home health or independent living. 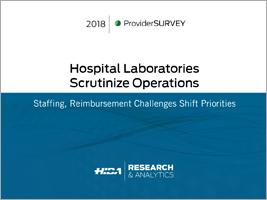 **PDF Download** Hospital Laboratories Scrutinize Operations | The market for laboratory testing continues to grow, and many laboratories have invested in expanding their capacity to meet increased demand.However, cuts in government reimbursement have presented a significant challenge to labs, causing many laboratory decision makers to reevaluate staffing, budgets, and what tests their facilities perform in-house. 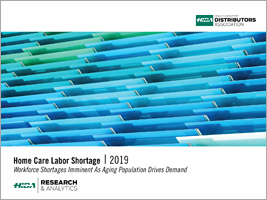 This report describes how hospital labs plan to navigate the challenges they face, and what impact they will have on equipment and supply budgets. **PDF Download** The Evolving Physician Office | Physician practices continue to expand to meet the needs of an aging population, and many practices will increase their medical supply budgets in the next year. Reimbursement decreases and collecting out-of-pocket expenses are top-of-mind challenges for practices, and the need to control costs due to declining revenue is changing how practices operate. 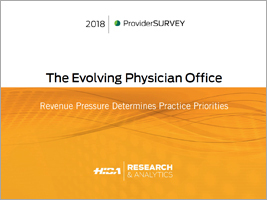 Learn in this report what practices are prioritizing, and what services they are offering to appeal to patients, in order to maintain a successful practice.